Keep your factory steering wheel controls with Metra's ASWC-1. Easy to install with an aftermarket radio, easy to program with our auto detect feature. Remove that featureless factory radio and install an aftermarket radio with Axxess's radio replacement interfaces and harnesses. 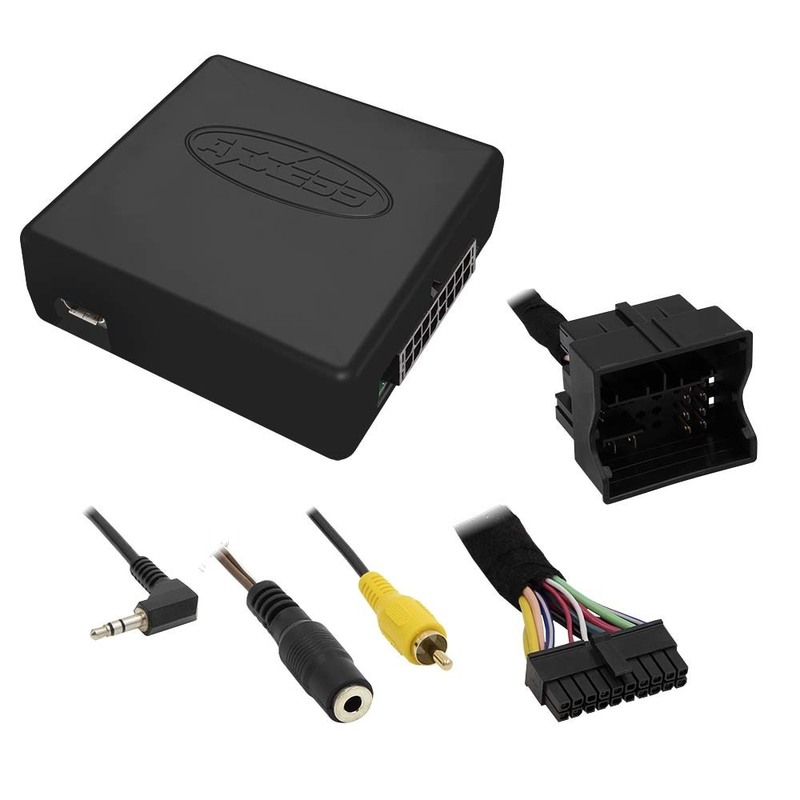 Cut down in installation time with Axxess's remote start vehicle specific harnesses. Stay aware of your surroundings and improve safety by adding cameras to your existing factory screen. Get the sound quality you're looking for by adding aftermarket amplifiers to your factory radio with Axxess's Add-n-amp option. Stay safe and connected while driving by installing an Axxess connectivity interface and mobility products. Upgrade your sound, keep your factory radio and retain your functions with our versatile digital signal processor. Add iGO Primo Navigation to your OEM radio! You can also add on a reverse camera, an HDMI input for smart device mirroring, and more. Axxess has engineered a new data interface that combines all of the features of the best-selling ASWC-1 and XVI lines into one robust solution for radio replacement. The AXTC-1 utilizes patented Auto-Detect technology1 that automatically detects the vehicle type, radio connection and preset controls, offers the ability to dual assign steering wheel controls, and much more. This universal solution is patent pending and works with both amplified and non-amplified models and all major radio brands.